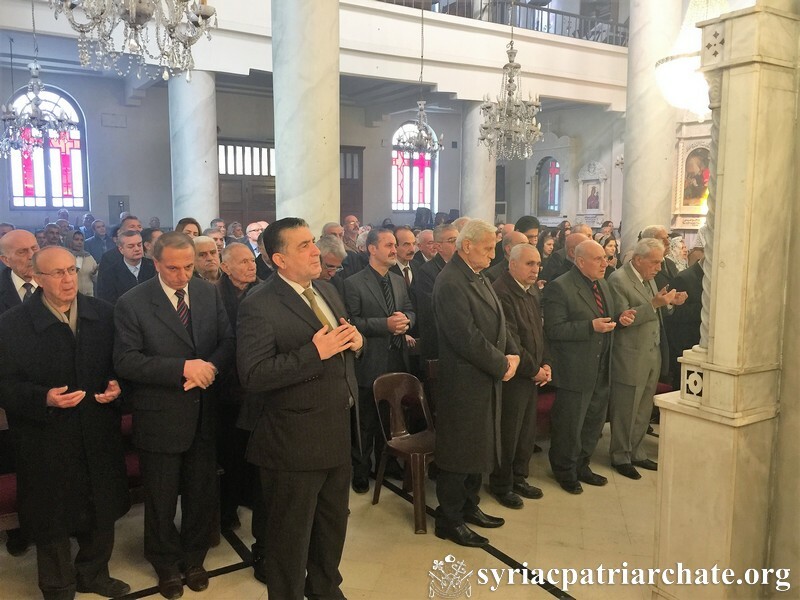 His Holiness Patriarch Mor Ignatius Aphrem II celebrated the Holy Qurobo on the occasion of Priests’ Sunday at St. Georges Patriarchal Cathedral in Bab Touma, Damascus. 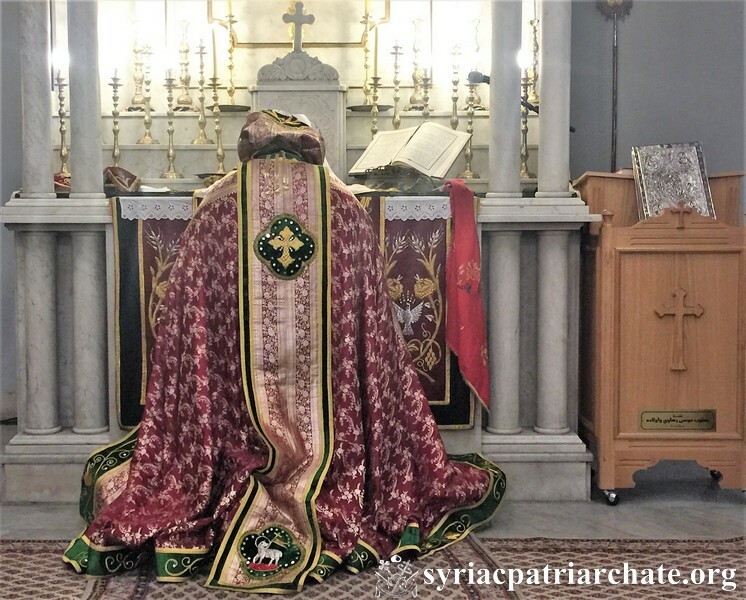 He was assisted by His Grace Bishop Mor Maurice Amsih, Patriarchal Delegate for the Archdiocese of Al-Jazeerah and Euphrates. 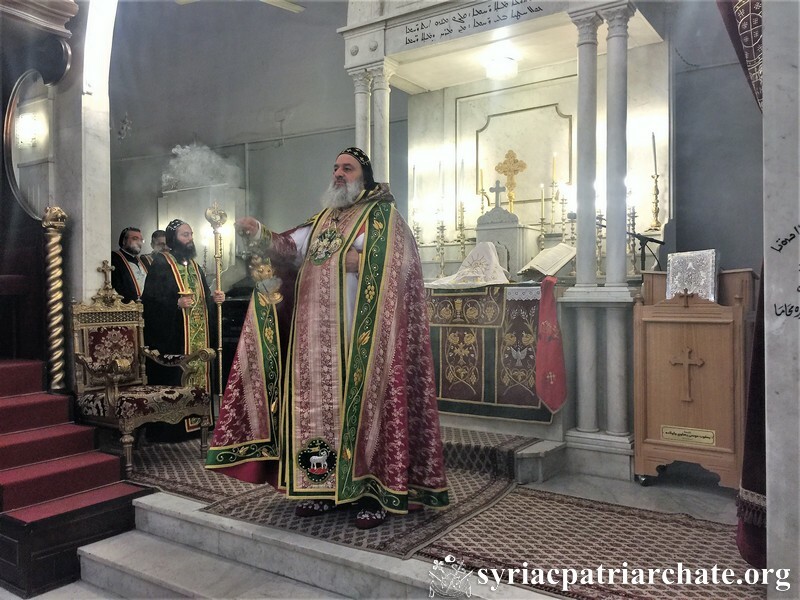 In his sermon, His Holiness spoke about the sacred role of the priests and prayed for the peace in the Church and her unity. 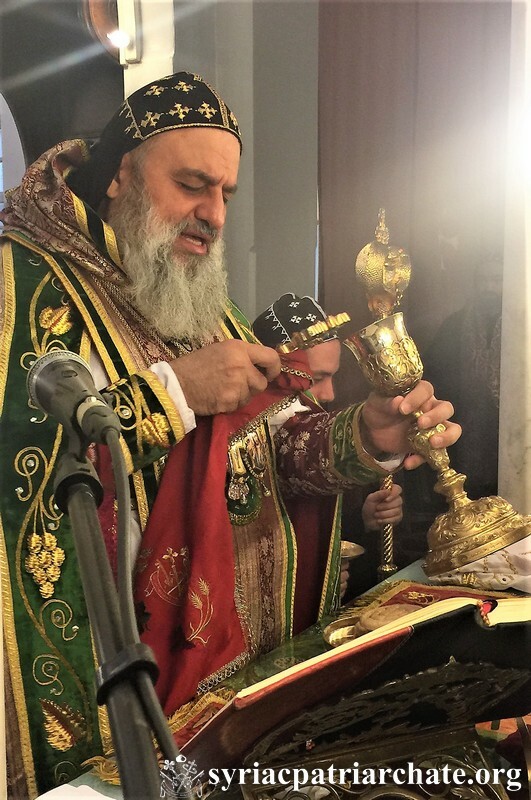 This entry was posted in Featured News, News and tagged Bab Touma, His Grace Bishop Mor Maurice Amsih, His Holiness, Holy Qurobo by Orthodoxy Cognate PAGE. Bookmark the permalink.